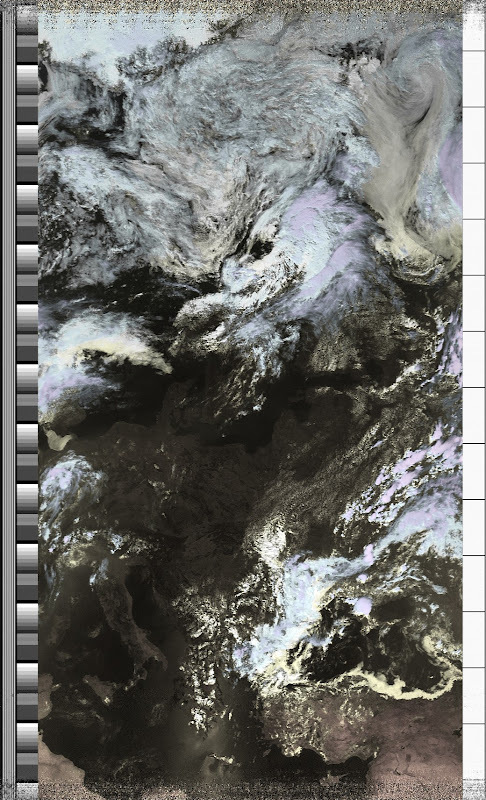 I allocated most of Saturday to this experiment and tried to get as many passes as possible. 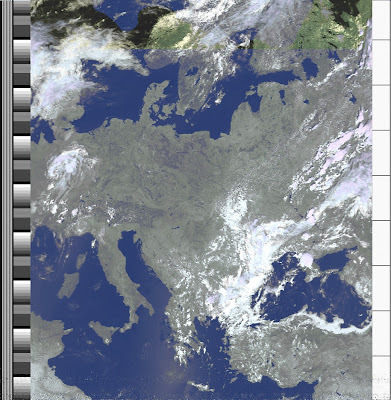 I started with a morning pass of NOAA-17, unfortunately, the satellite still appears to be broken. 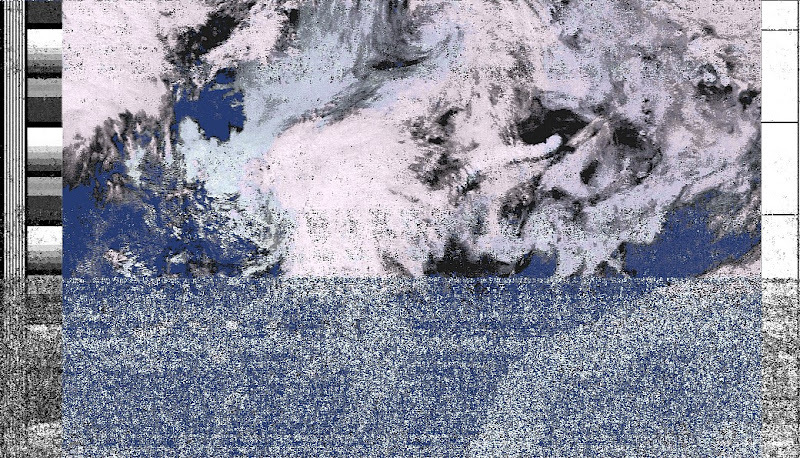 @2e0sql told me that it has been broken for some week on and off, and @claymdavis added that it has a sticking pan head motor that interrupts scans. 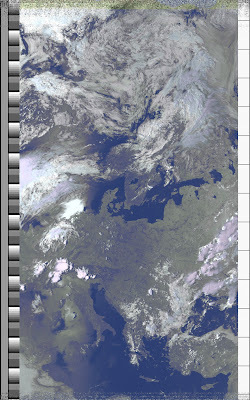 NOAA 18 northbound 5E at 10 Jul 2010 08:23:05 GMT on 137.9125MHz, contrast enhancement, Normal projection, Channel A: 1 (visible), Channel B: 4 (thermal infrared). 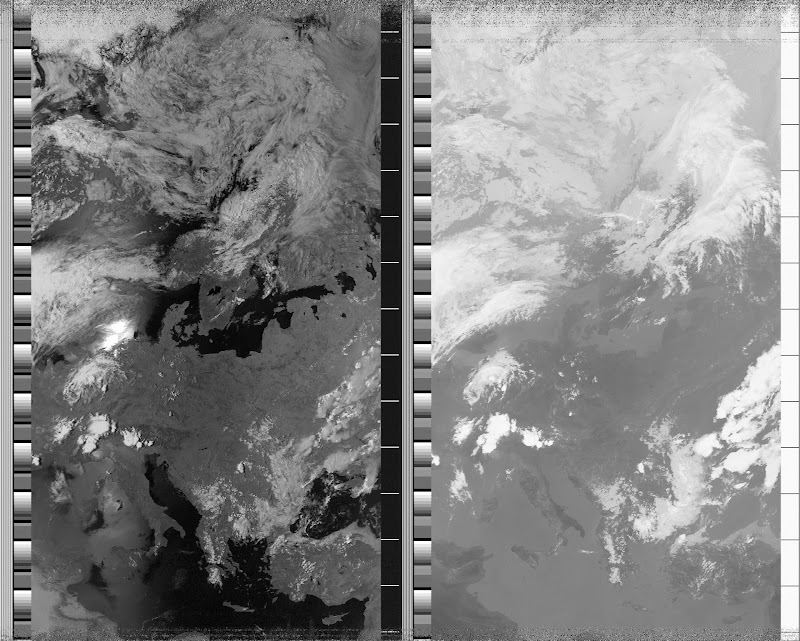 NOAA 18 northbound 5E at 10 Jul 2010 08:23:05 GMT on 137.9125MHz, HVCT enhancement, Normal projection, Channel A: 1 (visible), Channel B: 4 (thermal infrared). 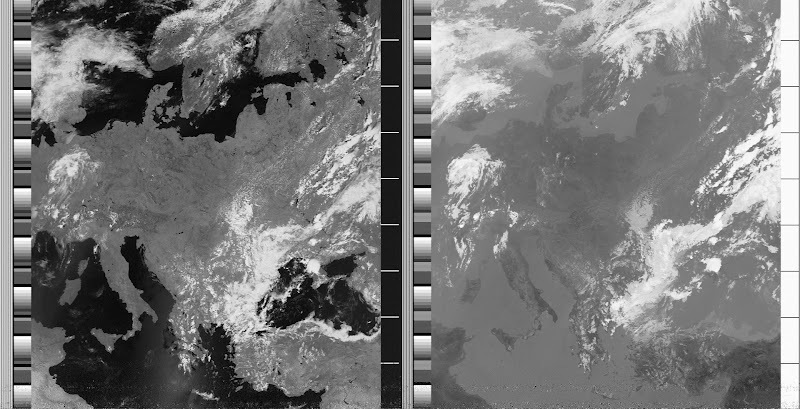 Later during the day I had some good passes for NOAA-18, NOAA-19 and NOAA-15. 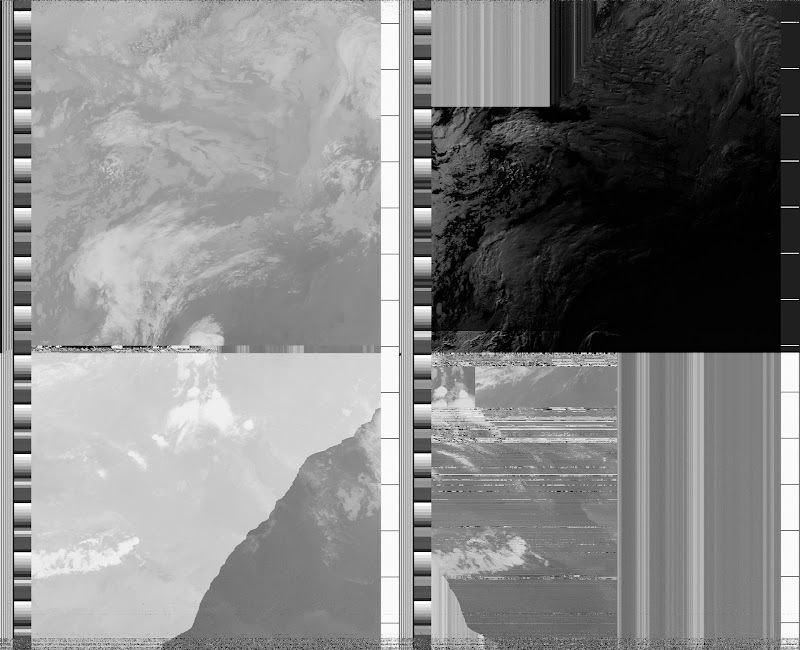 The NOAA-19 pass was cut short because NOAA-18 was right behind it and I wanted to switch over. The reception was excellent in all cases; however, some of the false color images didn’t turn out too well. I’m not sure why. Maybe it is due to the illumination/sensor combination during the time of the day. 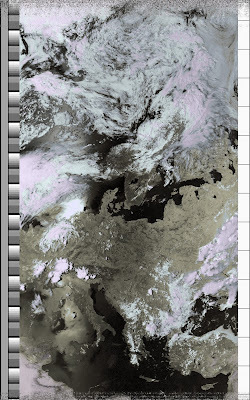 Finally, I decided to try NOAA-17 once more during the evening hoping it got better since the morning, but this was not the case. 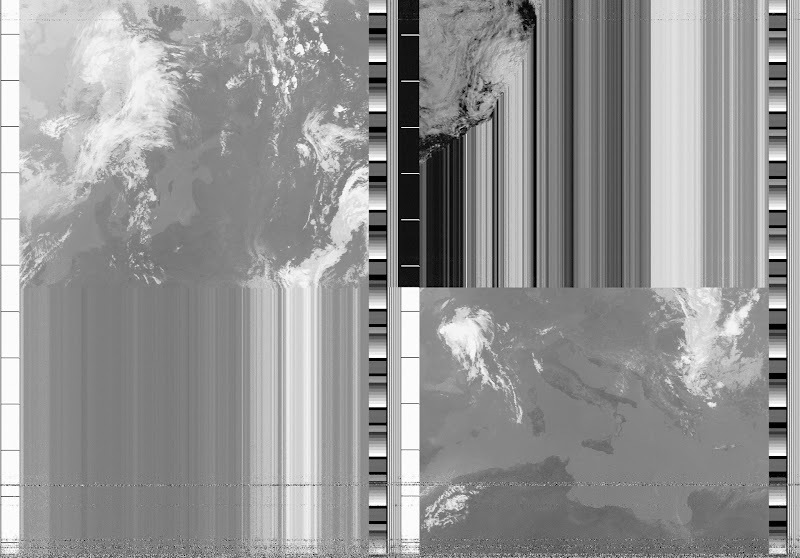 This concludes my experiments with NOAA APT images for now. Since I have no fixed antenna for this purpose (I used the Arrow II hand held yagi for all receptions) I have no desire for a permanent installation. 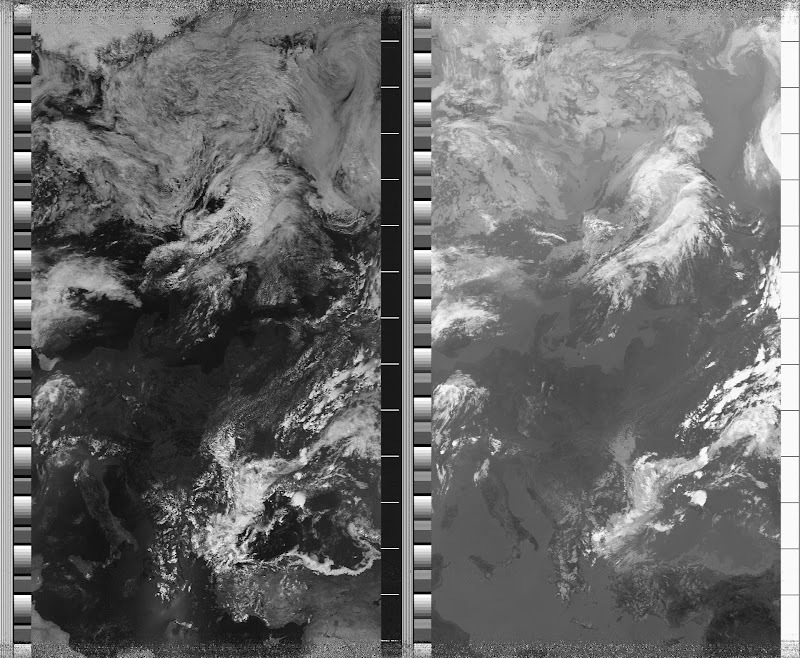 I might try to run the audio files through wxapt to see how well it decodes the images but no firm plans at the moment. Previous Previous post: Embedded USRP and Gumstix Overo COM Clusters?